Dr. Md. Rezaul Karim Chowdhury passed MBBS from Chittagong Medical College in 1996. He obtained diploma in Cardiology from Bangabandhu Sheikh Mujib Medical University (BSMMU), Dhaka in 2001. He passed MD in Hematology in January 2008 from BSMMU Dhaka. He has a long course of training in Hematology and Medicine. He has several publications in his credit. 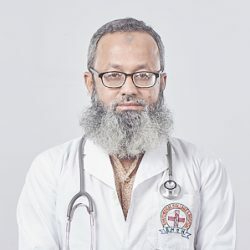 Before joining here as Assistant Professor of Hematology, he was a specialist Hematologist in Square Hospitals Dhaka for about one and a half years.